This refers to ‘’Missing in the manifestos’’ by M J Antony (March 20) which brought out a simmering problem where litigant distress does not feature in any party’s election promises. Judicial reforms are the need of the hour. Clearance of long-pending cases and making jails less crowded isn’t within the radar of any political party as there are no immediate electoral gains. There are more than 33 million cases pending in courts. Official statistics show 140 cases pending in courts for over 60 years. About 66,000 cases are pending for more than 30 years. The states with the maximum pending cases are Uttar Pradesh, Maharashtra, West Bengal, Bihar and Gujarat. It is strange we do not have any limit on the number of years a case can drag on. If a definite time frame is embedded in the system, we can speed up cases. Gaming the system for petty gains at the cost of the litigant is also a ruse that needs to be nipped in the bud. Massive amounts of money are locked up in litigation. Once pending cases are cleared, a lot of money could be released into the system. 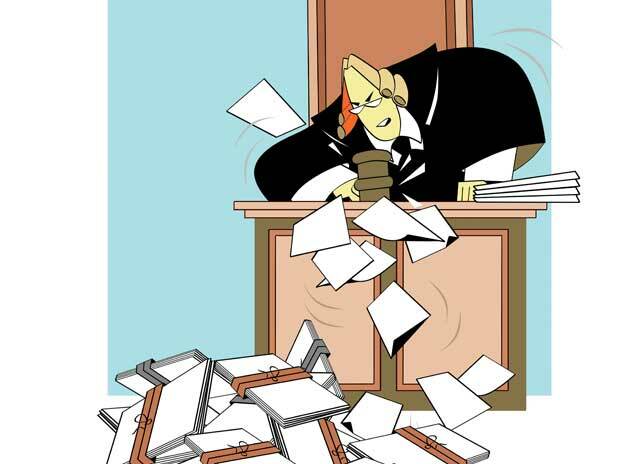 One reason for the increase in pending cases is the acute shortage of judges. In a couple of months, a new government will be sworn in. Let us hope the new government will have judicial reforms on its agenda to provide succour to long-suffering litigants.